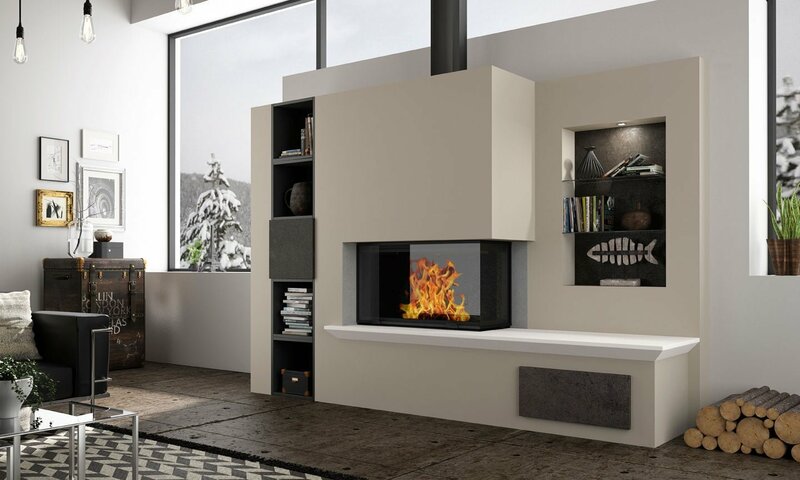 The Radiante 873 2V SR slow combustion fire offers a visual impact from all corners of the room with a huge, panoramic glass window wrapping itself around the side of the firebox. Available in 2 versions with corner glass to the right or left, this streamlined, contemporary corner firebox design optimises style, comfort and warmth combined with high performance. 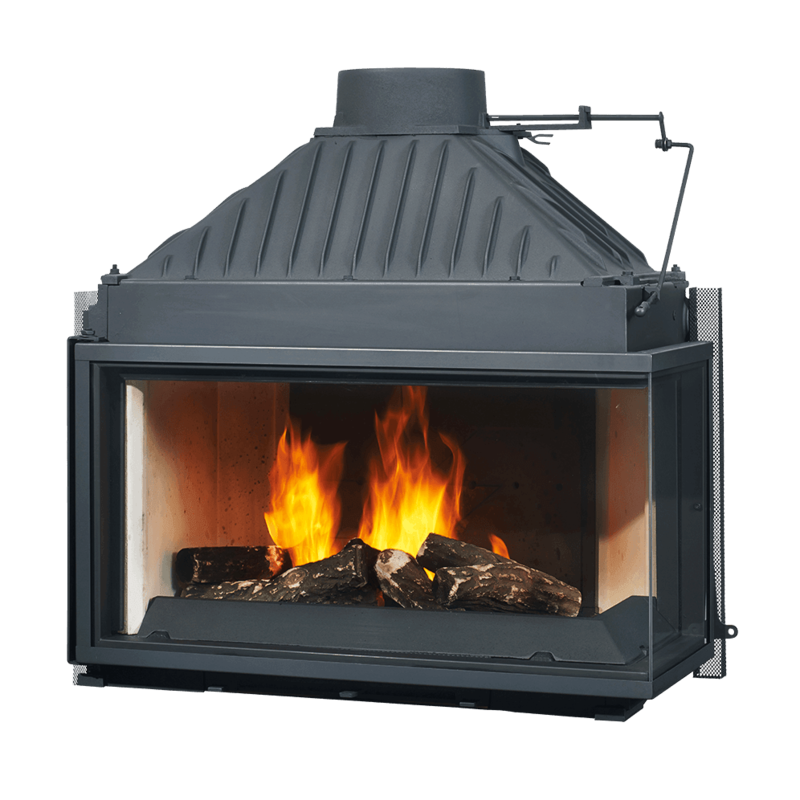 Available also with a dual opening door option Radiante 873 2V SR. Designed and tested to be installed into a masonry fireplace surround, existing fireplace or left freestanding, this versatile firebox offers the flexibility to create a multitude of stunning hearth designs. 100% French made in Cheminees Philippe’s foundry and manufacturing facility. 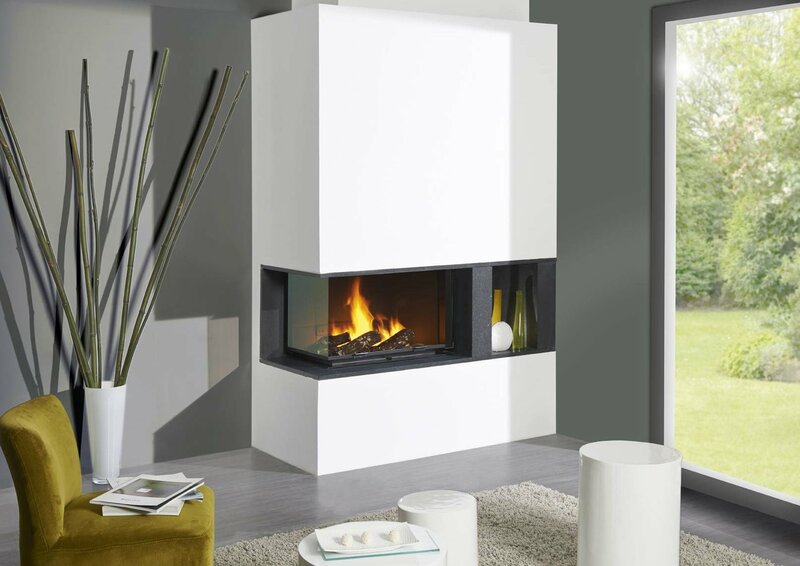 Optional side glass panels on left or right for enhanced view of the fire. * Fluctuates depending upon ceiling height, installation and place of construction. 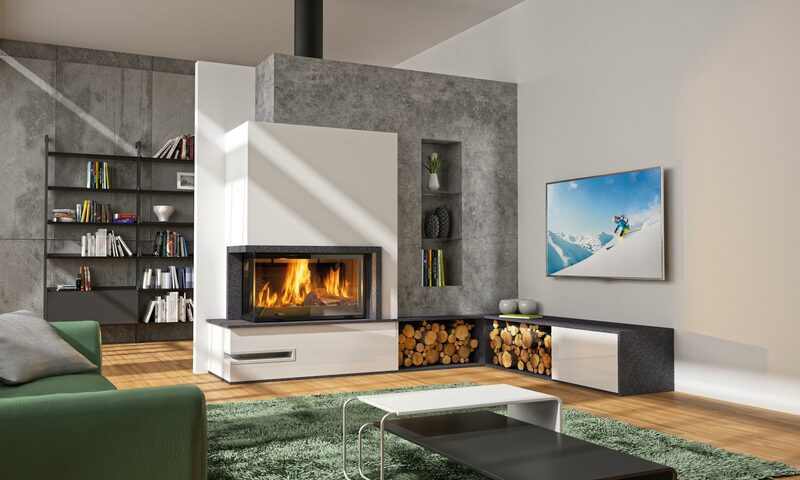 Subscribe to see the latest issue of our Newsletter and discover the latest European & Australian design trends and inspiration in fireplace design, interior design and designer homewares. Wignells of Melbourne Pty Ltd.
© 2018 Cheminees Philippe Australia T/As Wignells of Melbourne Pty. Ltd. All Rights Reserved.